Commute to work or ride around town with a bike that lets you ride with very little effort. 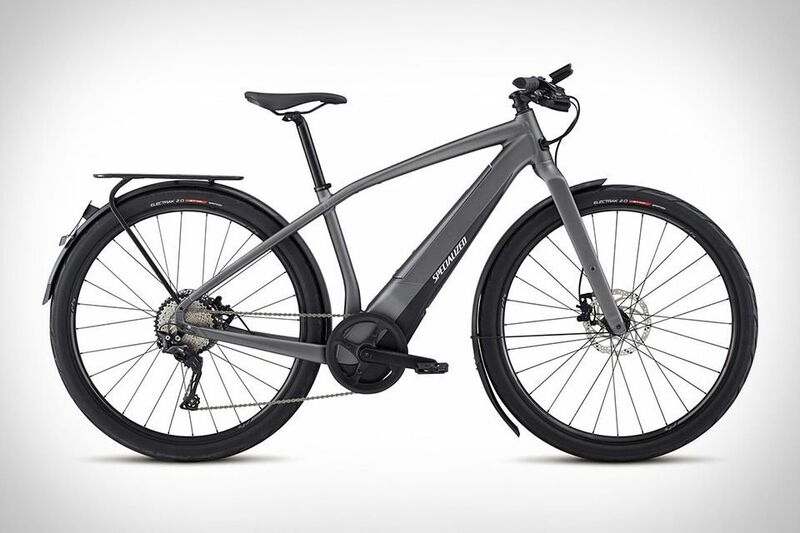 The Specialized Turbo Vado 5.0 electric bike's award winning pedal-assist allows you to go further, faster (up to 28mph), and tackle hills with ease in urban settings. Underneath the beautiful aluminum frame is where the battery is hidden with internal cable routing to keep it clean. The battery is removable for easy charging and lockable for security. The motor, which is fully integrated with the frame, delivers 350W of power. An internal belt drive design keeps the bike riding as smooth and silent as possible. There’s also a 2.2-inch digital TFT display to monitor your ride data in real time. The Vado 5.0’s beautiful frame where the motor and battery is hidden is made of aluminum. The turbo rigid disc fork is also made of aluminum.